2015 | Fulcrum ConsultingWorks Inc. In part seven of the Successful Integration of Manufacturing Operations series, Rebecca explains how to increase innovative capabilities during the difficult first 18 months of a business merger. Today Rebecca continues her Successful Integration of Manufacturing Operations series by discussing rationalization processes. In part five of her eight-part series Successful Integration of Manufacturing Operations, Rebecca explains how to optimize sharing of knowledge and technology. In today’s podcast Rebecca shares why transforming operations is the only way to transform your business, and the 3 competencies required. Rebecca explains how strategic adjustment of Supply Chain Management can contribute to successful integration of operations in Merger & Acquisitions. Are your employees engaged? Do you know? Understand what that is, and what it is not, and how to achieve it in your organization. 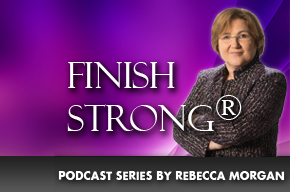 In this last podcast of a three-part series, Rebecca shares five commonly held beliefs that prevent an organization from being in the 1% that continuously improve every single day. In this second podcast of a three-part series, Rebecca examines why a tools-only approach to lean fails, and which management behaviors have to change to support continuous improvement. In the first of a three-part series, Rebecca describes how to get over the hump of lean failure due to poor tool understanding and application.